Arsenal are reportedly set to try and beat Paris Saint-Germain to the punch and snap up Ander Herrera from Man Utd this summer. As noted by BBC Sport earlier this week, it has been suggested that the Spanish midfielder will leave Old Trafford at the end of the season when his contract expires, in favour of a move to the French capital. That will be a blow in itself for the Red Devils, with the 29-year-old making 187 appearances for the club since joining them from Athletic Bilbao in 2014. While he hasn’t always been a mainstay in the starting line-up, Herrera has continued to play a key role when in favour, and losing the quality and depth that he offers will be a setback if he does indeed move on this summer. 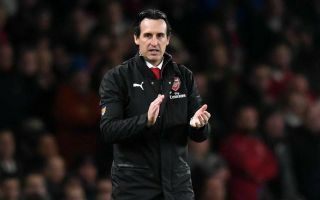 However, it could get worse for Man Utd, as The Sun, via L’Equipe, are suggesting that Arsenal will make a late bid to sign him ahead of PSG, with Unai Emery said to be a fan of his compatriot. Particularly with Aaron Ramsey departing on a free transfer this summer to join Juventus, Arsenal could do with midfield reinforcements to help fill that void. Nevertheless, with the Daily Mail previously reporting that Herrera wanted £200,000-a-week to stay at United, it seem improbable that Arsenal have the financial strength to satisfy his demands ahead of PSG when they were unable to reach an agreement on new terms with Ramsey. In turn, it would come as no surprise if Herrera opted to join PSG this summer, as a switch to United’s rivals seems the unlikely choice at this stage unless he is adamant on staying in England.